GRP75 antibody recognizes stress-70 protein, mitochondrial, also known as 75 kDa glucose-regulated protein, catecholamine-regulated protein 40, epididymis secretory sperm binding protein Li 124m, or heat shock 70kD protein 9B. Mouse anti Human GRP75 antibody recognizes GRP75, also known as 75 kDa glucose-regulated protein, GRP-75, Heat shock 70 kDa protein 9, Mortalin, MOT and peptide-binding protein 74 (PBP74). Encoded by the HSPA9 gene, GRP75 is a member of the heat shock protein 70 gene family and is primarily localized to the mitochondria but also found in the endoplasmic reticulum, plasma membrane and cytoplasmic vesicles. GRP75 is a heat-shock cognate protein and plays a role in cell proliferation, stress response and maintenance of the mitochondria. A pseudogene of HSPA9 is found on chromosome 2 (provided by RefSeq, May 2010). 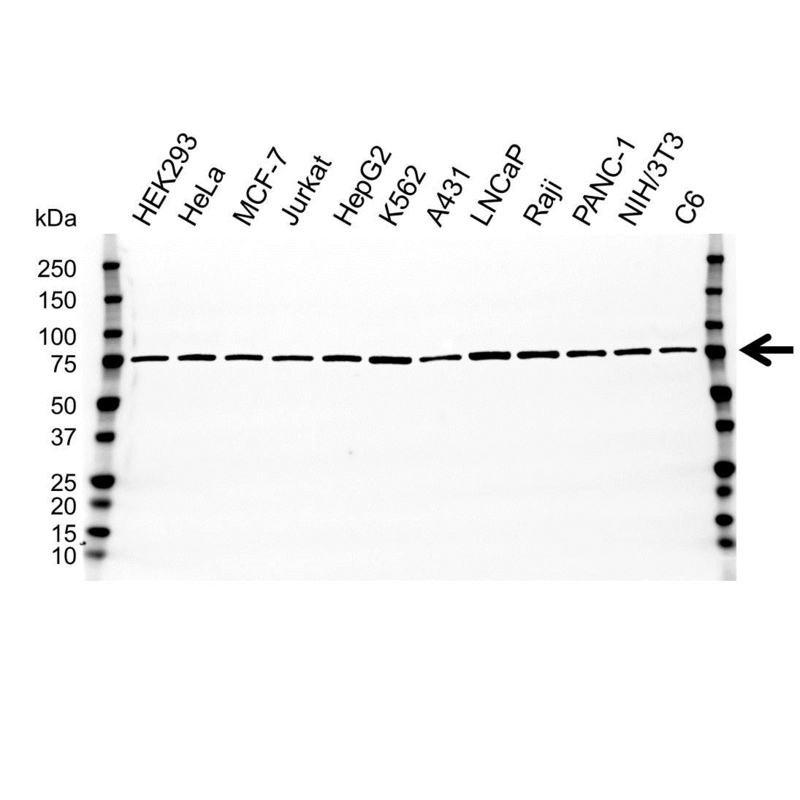 Mouse anti Human GRP75 antibody detects a band of 75 kDa. The antibody has been extensively validated for western blotting using whole cell lysates. Anti GRP75 detects a band of approximately 75 kDa in K562 cell lysates.